A company called Virus Zero claims it’s the first to bring a cold plasma air purification technology to market. 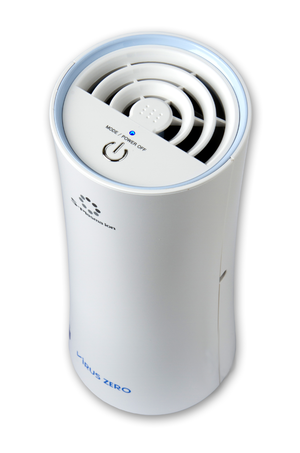 The company licensed Samsung’s SPi (Super Plasma Ion) technology in building its line of air purifiers, which release millions of cleansing ions into the surrounding environment to reduce containments. The portable model can run an AC power or with a car adapter if you want to take it on a road trip. Air-purification systems are by no means new. The reason Virus Zero’s solution is different is because it doesn’t rely on pricey filters, nor does it sit patiently waiting for dirty air to cycle through the unit several times in order to trap contaminants like dust and allergens. Skeptics will wonder if Virus Zero is making a snake oil pitch, but its claims are grounded in science. Using Samsung’s SPi technology, the Virus Zero device splits water molecules in the air to form positively charged hydrogen ions and oxygen. It then shoots electrons in the air, which in turn react with the hydrogen ions to form hydrogen atoms, and with oxygen to form oxygen ions. The hydrogen atoms and oxygen ions react to form hydroperoxyl radicals, and these are what seek out and neutralize airborne contaminants such as dust, mold, pet dander, and bacteria. Virus Zero offers purifiers in several sizes, the largest (and most expensive) of which can cover up to 1,166 square feet, the company says. There’s also a portable model that’s good for up to 230 square feet; it’s intended for hotel rooms, small offices, and automobiles (it comes with car and wall adapters). Why this matters: Existing clean-air solutions have their weaknesses: Filters need to be replaced and can release contaminants when being changed, and traditional ionizers typically weigh viruses and germs down rather than neutralizing them. 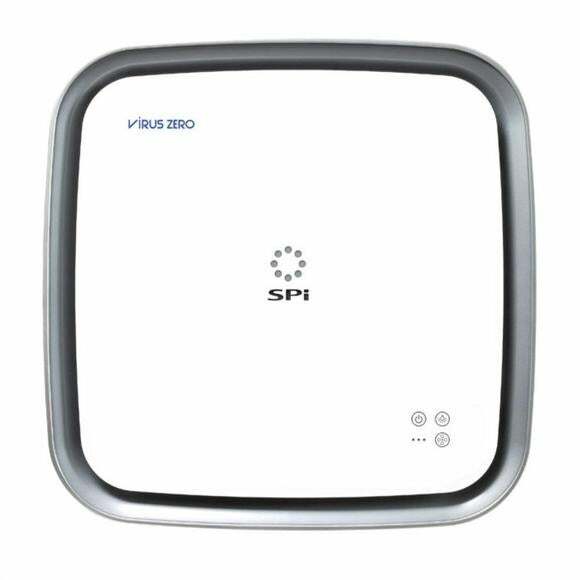 Samsung’s SPi technology, and by extension Virus Zero’s line of purifiers, offers a more efficient and effective means of cleaning the air and don’t require any maintenance. Even if they work as well as advertised, however, some will find Virus Zero’s solutions cost prohibitive, with prices ranging from $179 to $979.